Every Friday evening, Opal hosts an evening of storytelling at her shop, Tell a Yarn. We sit around her dining table and work on our latest handcraft projects while listening to stories and to flames crackling in her fireplace. And we talk. Last Friday, Threadville’s librarian, Karen was struggling to keep a huge piece of red flannelette in her lap, and hemming the edge of what appeared to be a never-ending ruffle. Opal’s daughter, Haylee, my best friend among all these good friends, asked Karen what she was making. Karen didn’t lift her head. “A petticoat,” she muttered. After a silence, a flurry of comments and questions erupted from all of us. To my amazement, Karen nodded. “How did you figure that out?” Haylee asked Edna. “Any man who turns you down would automatically have bad luck!” Naomi, Haylee’s third mother, asserted. “Awwww. True love.” Opal looked teary. Was she wishing she had asked Haylee’s long-lost father to marry her? “Then ask him out,” Edna persisted. I’d never seen Edna blush before, but in the flickering glow of the candles and fire, this blush was quite obvious. I glanced at Haylee. She just smiled. What about you? Have you ever used February 29 as an excuse to do something you might not ordinarily do? 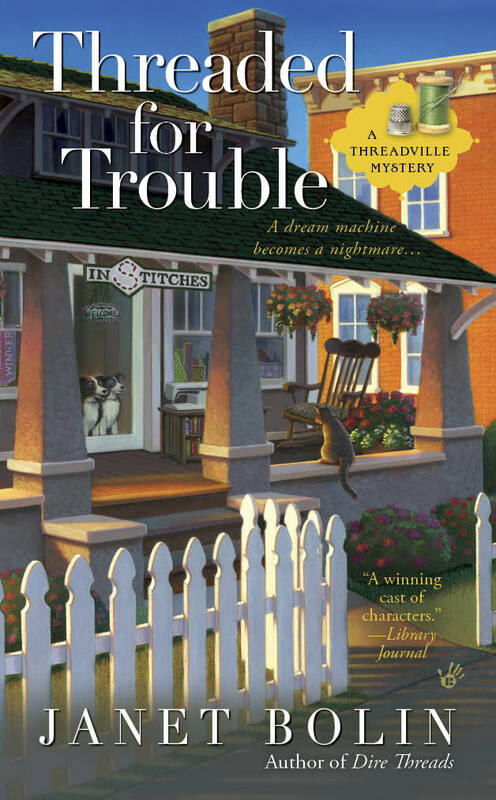 You can learn more about Willow and how she helped solve a murder in DIRE THREADS, nominated for an Agatha Award for Best First novel, and available in stores everywhere. I don't think I'll ask anyone out, but maybe I'll try something new, like baking a torte. I might now! Where could I buy some red flannel? I've never heard of this custom. Natasha, come up here to Threadville to my store, The Stash. I have enough red flannel to make one more petticoat. Dru, I think Karen found out about it from the Internet. Lizzie, waiting until next leap year? I might not be the only one chickening out around here! Oooh, I don't think I'll take advantage of that custom! Has anyone ever seen the movie Leap Year? Great take on the tradition. Oooooh, Victoria, I think I would like to see it! Good question! I really havent used February 29th as an excuse to do something that I might not ordinarily do. 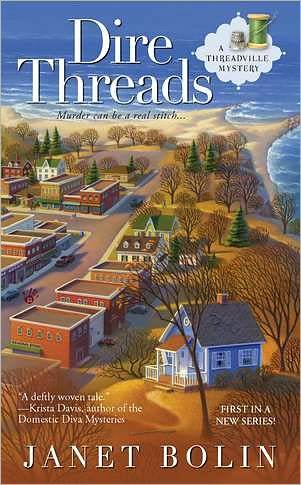 I really enjoyed Dire Threads! 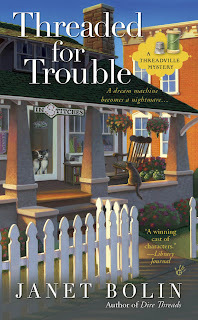 cant wait to read "Threaded for Trouble"
I guess the idea is that the date doesn't really exist, so we can't make mistakes? Not sure if that works . . . My author says, "Thanks, Melissa! That's very kind of you!"